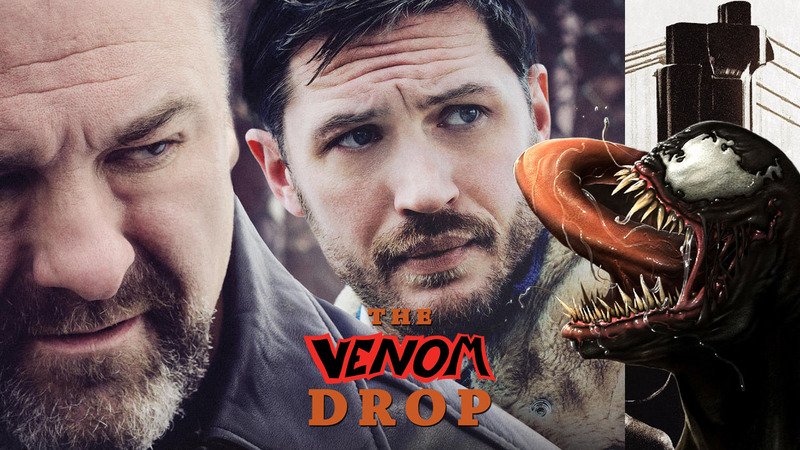 For months fans online were speculating how Hardy's incarnation of Venom would look like and then it was announced that the teaser trailer for Venom would premiere earlier today. So you can imagine how disappointed a lot of people were when the teaser failed to show a single frame of Hardy as Venom. In fact, if you didn't know anything about the Venom character before watching the teaser, it would hardly make an impression. Twitter user @IntergalacticQ said it best, "That Venom trailer looks like the trailer for a movie about a man [who's] really anxious about getting an MRI." But what did leap out at me in the Venom teaser trailer was Hardy's east coast accent. I was immediately reminded of his interesting performance as a barkeep with some deep dark demons in 2014's crime drama The Drop. Then it hit me. Demons. East coast accent. Tom Hardy sulking. The mashup trailer basically wrote itself. I present to you "The Venom Drop."